Data is the buzzword. It is conquering the world, but who conquers data: the companies that use them or the servers in which they are stored? 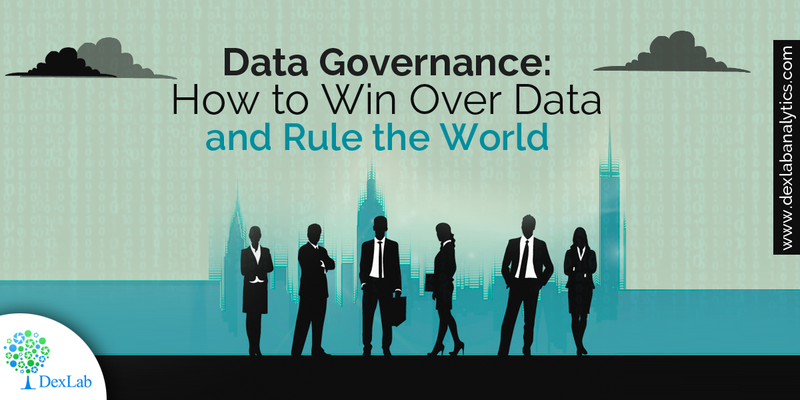 Let’s usher you into the fascinating world of data, and data governance. FYI: the latter is weaving magic around the Business Intelligence community, but to optimize the results to the fullest, it needs to depend heavily on a single factor, i.e. efficient data management. For that, highly-skilled data analysts are called for – to excel on business analytics, opt for Business Analytics Online Certification by DexLab Analytics. It will feed you in the latest trends and meaningful insights surrounding the daunting domain of data analytics. Basically, data governance is a technique that enables an organization to efficiently manage crucial data assets. If IT implements comprehensive but flexible controls on the assets, the organization gets sure that the right information is getting transferred to the right person just at the right time. A few years back, data governance was at a preliminary phase in information management domain – with social media just taken its birth, eCommerce started setting off and Apple introduced its first iPhone, data started to grow. Going by a recent survey, cutting edge BI programs brought in significant success results amongst 81% of 400-plus senior executives working in industries worldwide. Yet, there remains a harrowing concern – low data quality and future inconsistencies could hinder further BI insights. For example, when working on Predictive Analytics, projections must be derived from accurate and concise data. Wrong data would lead to faulty projections that will offer limited value, and in fact can draw negative feedback even. As you read in the beginning, powerful data governance needs master data management (MDM) – where the former classifies distinct rules for different data sets, ensuring different capabilities to individual departments, the latter looks after the enforcement of data procedures and policy implementation. Though most confuse data governance and MDM as being two individual ideas, but actually they are like two sides of the same coin. While the latter deals with the practices, the former talks of discipline and technology. No more does a single person takes care of data governance – data flows across the various segments of the industries right from the C-Suite to junior employees. The commands on data can come from any level or person, data accessibility is becoming an imperative in today’s digitized world. Data democracy is every individual employee’s right – each employee can now access data and they don’t have to wait for orders. As a result of this, data complications and deeper data issues are more likely to be tracked down only to be corrected. Just because data governance is an emerging trend to follow, it doesn’t mean you have to implement it immediately. Take time, learn the tricks and apply it systematically in the process. Remember, big data is here to stay, so no point in rushing. For a better view of data, get enrolled in a data science online learning Delhi NCR – the course is student-friendly and program-centric.